I love to read… which shouldn’t be too much of a shock or surprise to anyone, but I also love to share my book reviews. Sharing my reviews is my way of saying “Hey this is a good read.” I will not share a review of a book I do not like. I do post those reviews on places like Amazon and Goodreads. 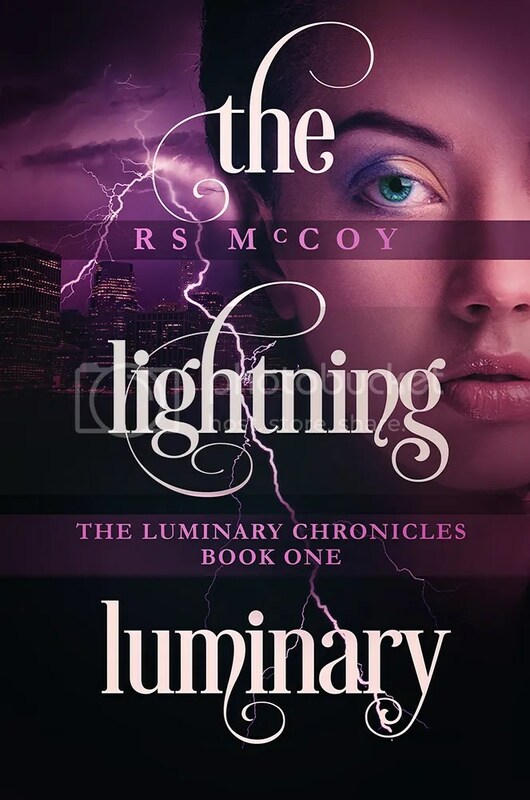 This month’s review is of The Lightning Luminary, a book from RS McCoy. This multi-genre author has a gift for writing fiction that makes you feel like you are right there next to the characters, living and breathing what they live and breath. So without further hesitation… The Lightning Luminary (my review is below the blurb). Talia Stanley may look like the typical wealthy New Yorker, but she’s hidden her secrets for more than a thousand years. One of the last surviving members of an ancient race called Luminaries, Talia has suppressed her ability to control lightning in exchange for safety. And for generations it worked. Talia’s hermit lifestyle protected her from strong Luminaries that want her power. All that changed the day Mason Rathbone walked into her life. McCoy has managed to take Greek Mythology and mix it into the everyday lives of her readers with such ease it should be a sin. This is a wonderfully written novel with Fantasy and Paranormal aspects that seasoned with a little Clean Romance, great for anyone 13 and above. The world building is superb – an everyday world was finely twisted with the Greek Luminaries, Shades, and of course the Voids. Character building is strong. Each character is realistic in his/her place and you never doubt their authenticity. The ending of the book leaves you wanting more and this girl will be ordering that next book soon! I highly recommend this book to anyone who wants to get away without going too far and is willing to open their mind to strange possibilities. Rachel McCoy is a Texan living in New Jersey. Between binge-watching MTV reality shows and baking gluten-free treats, she writes paranormal fantasy and science fiction novels. She is the self-published author of the Sparks Saga trilogy, The Alder Tales series, and The Extraction Files. Back when she lived in the real world, Rachel earned a degree in marine biology, which contributed to her die-hard love of manta rays. Facebook Page. You can also join her Newsletter to receive release updates, free stories, and bonus extras.